Welp. This is why we shouldn't take pictures in dark spooky houses. Absolutely adore what this game has to offer!. Admittedly got stuck like a pleb, But discovered a scare i haven't seen others have. I look forward to further developments! Thats true! haha thankyou so much! we are happy to know that you liked it :D stay tuned for more! This was a pretty interesting demo. The atmosphere was quite tense, and I'm grateful there were no cheap jumpscares or sudden deaths. I'm definitely piqued by the camera mechanic as well, and I hope to see more use out of it regarding puzzles and whatnot. Lastly, I'm very happy there was some lore provided in the demo. Demos often throw you into situations with little to no information about the world itself. I find a good plot and interesting premise to be refreshing and an important backbone to a game itself so I hope it'll get fleshed out. One question I do have is what happens if you run out of film in the actual game? I'm assuming the game provides an option to restart the level or something. Another thing I was a bit annoyed by was how to open the doors. I had assumed using items were either automatic or you had to press E to open it. I think adding a prompt stating that you actually have to use the mouse while interacting with it would be nice to know. Overall, I enjoyed this despite being a coward when it comes to horror games. Thankyou so much for taking your time to play it and giving us awesome feedback :D We tried to make the player feel comfortable in the story but at the same time terrified of being there! we gave the right and necessary (in terms of information about whats happening and whats happened), the story has much more to tell, but for that we will have to wait for the final version! Thank you so much for everything! Great start, really nice work. 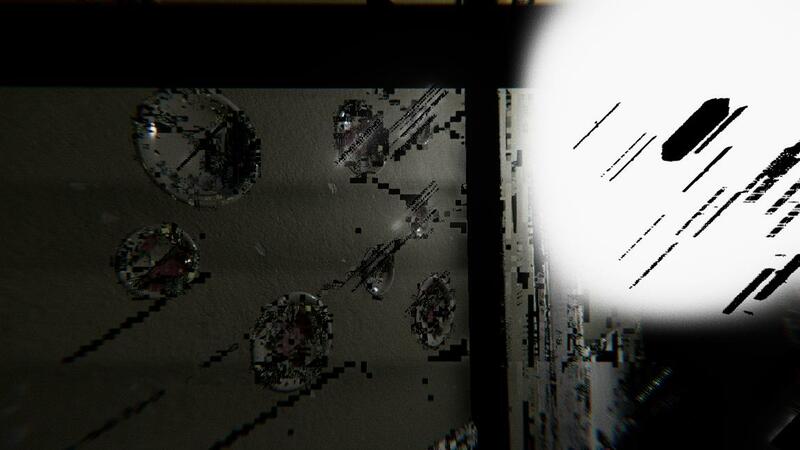 please just don't make it a cheap jumpscare game, you have a good start with the camera, and puzzles so keep it up. And no rule of 3s XD. Hey thankyou so so much! Don't worry! we won't! Soon we will be showing even more! Stay tuned! This game is awesome and I can't wait to play more :) get atmosphere and sound! Thankyou so so much! for playing and uploading your gameplay! stay tuned for more ! Truly eerie and entertaining. I would love to play more of this game when it comes out so I'll make sure to stay up to date! Great idea you have here, it's VERRRRY spooky~! Thanks! we are happy that you enjoyed playing it! Thanks for making a playthrough! Really good creepy horror game about 12 minutes of gameplay I tohught it was another inspired P.T Demo but really enjoyed it. Thank you so much!There is nothing more satisfying than knowing that our players enjoy the game! I try yo play the game on macOS and everything is black... except the rain drops on a glass (which probably is self-emitted as a particle fx). There is no lights in the scene. I am using the latest MacBook pro with an AMD Radeon R9 M370X 2048 MB graphic card, so I don't think it's my hardware's problem. Have you tested the macOS build in any macOS device? Also to run the game I had to chmod +x the executable inside the app/Content/MacOS folder, which it's name is x86. Is this a x86 mac OS build? It should be a Universal or x86_64. I don't think that apple support x86 mac devices. Sorry for this! We are re-uploading in one hour or so. Thanks for letting us know! No problem. As a game developer I totally get it :) Keep up the good work! You were right, it is having a few issues. We will reupload it as soon as possible ! This game was fantastic! Check out my gameplay below if you are not sure if you want to download or not! Jonny! Thankyou so much for playing it! I played really fun. Thank you. Thank you so much for playing and also spreading the word! It really means a lot! well this is how my game looks like xD. I played this on 32bit system. Any solution or my pc is just to bad to play this game? wow :/ can you tell me your PC specs, please? Ouh i see :c thanks for helping anyway! Finally uploaded my Let's Play of it! Wish I had the patience to solve that Lock though, gave a few potential hints at it, would wonder how close I was. hey! Thankyou!!! Hope you enjoyed playing as we watching the video! The lock is a midterm😏😏😏it will be solved soon! hi! Thankyou!! Hope you enjoyed it! Thanks for uploading the video ! Are there any plans for a Linux version of MADiSON ? The fact you're willing to try is all I can ask. Thank you regardless ! please give us some more hours! Take your time. No rush. Thank you for the effort. How is everyone getting the PNG Madison Logo? http://madisongame.com/press/ " download press kit "
This is honestly the scariest game I've played all year. Fantastic game and keep up the good work! Love the preview of the video! Super haha . Tahnkyou so much for your words, it means a lot to us! We are working so hard on this! Millionthanks! I can not see. I just see black and thats all, but in videos of others, they are in a hallway or something like that. Why? Which one did you download? 32, 64 or mac? I did not notice that there are 32bit and 64bit version, I downloaded 32bit. I will try the 64bit. Heres my gameplay of this game. This gave me a good spook and I can't wait for the full game! Thankyou so much! Awesome video! please stay tuned for more!! Thankyou so much for playing it! W are happy you enjoyed it! stay tuned for more! Amazing demo that almost felt like a full game! So many sound jumpscares to keep you on edge. Awesome mechanics such as, the use of the camera keep things fresh and, entertaining! There were a couple times I scratched my head wondering what I was suppose to do next. The puzzles weren't too difficult though and, it all seems well rounded! That code is a mistery itself! Thankyou so much for playing our demo! we loved your video! It means a lot to us! Astounding work, the visual detail and phenomenal audio design really sell the atmosphere and the addition of little bits of context and story make everything a lot more impactful. The jumpscares are sparse enough that they never feel cheap or overused and the camera mechanics are just downright awesome! As much as I never want to play this again I want to see what else becomes of this story! I'm scared as all hell, but you have me hooked! Very well done! I really liked it and had a lot of fun! Hope to see more soon! Thankyou so much! We are working so hard in order to release the full game in 2018! We did not want to spoil too much !! Stay tuned for more :D thankyou so much for playing it! Thankyou so so much! Loved the video! We will be sharing it on our social media! Thanks! Really good little demo, shows a lot of promise! Me too, looking forward to seeing more of this! looks awesome and freaking scary!!! Thankyou so much for playing it! the video is awesome! :D We did not want to spoil too much, but believe us the game is backed by a great story! ps: you missed a few secrets haha. Million thanks! Thanks for watching it! I noticed while editing I forgot about the little door with the lock :) probably something pretty secret behind there! But definitely when you guys release the full game you got yourself a player here :D Keep up the good work! Enjoyed your game so far, would have liked to play more but the atmosphere is really tense, the spooks are there and I love the work you do with the sound effects as well! Not to mention the nostalgia to use the polaroid again, and shaking the picture. if you want to check, best of luck for completing your project, I'll be glad to play more in the future, cheers! Many thanks ! we are glad you enjoyed it, we will share your video! Thanks again, it means a lot to us! PS: we love the photo! Thank you for making the game! And also for sharing my video of course.